I'm using a HP server with pfSense 2.1.5 and a Cisco Catalyst 3560 to run my apartment blocks internet connection. It's working fine, but I have trouble setting up the VLAN separation, so that each apartment/switchport has it's own VLAN. This is my setup - the drawing might miss something, but you get it! I'm testing with VLAN122 - which is switch port 22, with IP 192.168.122.20. 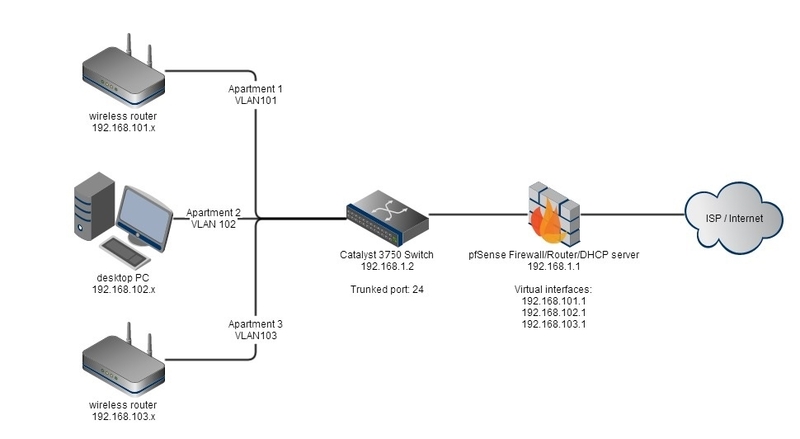 I don't who if the VLAN's is acting correctly, or it could also be the firewall rules, which I'm a totally bad at! Could anyone point me in the correct direction or help me troubleshoot? 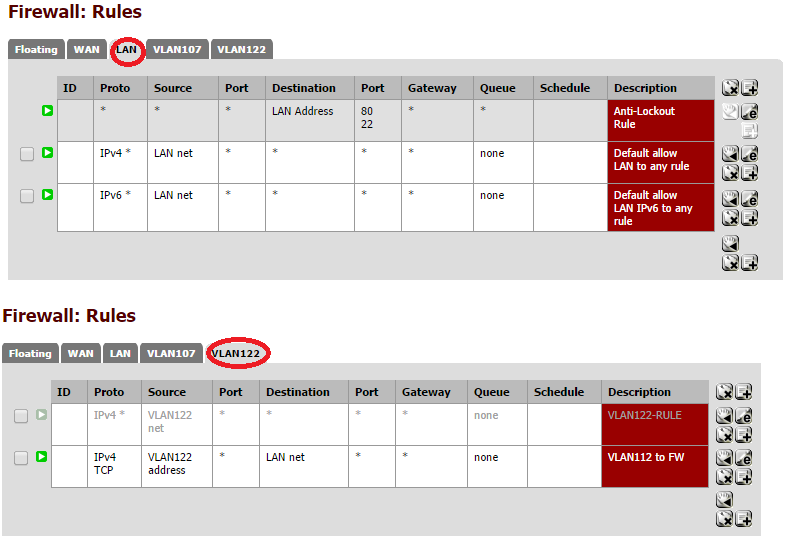 Actually it seems like you want VLANnnn to have internet access, but NOT access to other private VLANs or devices on LANnet (like pfSense webGUI). 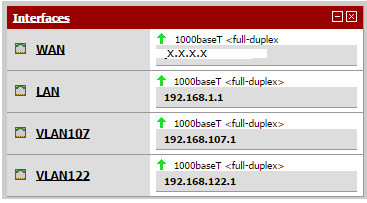 Allow UDP/TCP to VLAN122address port 53 (DNS) - so they can use pfSense for DNS. This seems to be perfect!